Foods he dislikes: Nothing in particular, but he's not very skilled with forks and knives. Originally part of his own gang, Kyohei is now member of the gang Dollars. 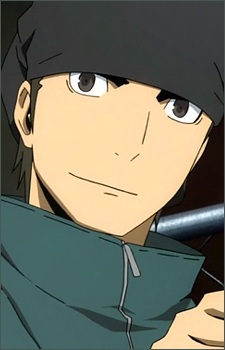 He has a nickname "Dotachin" which is used by several characters in the series (mostly Izaya and Erika). One day he got a message to join the gang Dollars. He first thought is was a joke but on the next day he saw his login name (MONTA) on the list of the members of Dollars. Monta originated from his last name (門田), because 門 is also read as Mon and 田 (Ta) stays the same. Him and other members never saw the leader of Dollars, but he has a suggestion who the leader is because there is only one person who could organize such a strange organization. His suspicion is on Izaya Orihara. Izaya was also the person who gave him the nickname "Dotachin".